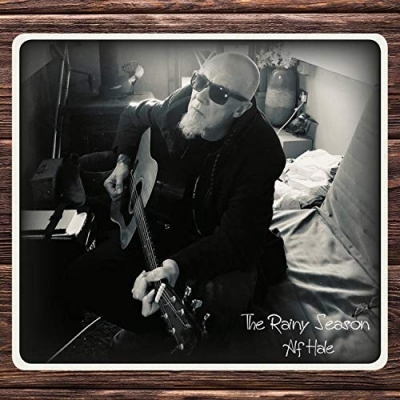 Alf Hale is releasing his second studio album 'The Rainy Season' on May 10th. Having spent almost a decade in the wilderness, Singer/Songwriter Alf Hale had a spectacular return to the music scene with his EP 'Misanthrope' which chronicled his remarkable journey from the depths of alcoholism to his eventual redemption. This was swiftly followed up by his debut album 'City on a Hill' which saw Alf, accompanied by fiddle player Jade Morris, channel the dark underbelly of Southern American Country, Folk and Blues infused with his unmistakable English charm. Hoping to build on the success of his first two releases comes 'The Rainy Season', which sees Alf yet again take on a new musical direction. Unlike 'City On a Hill', a more stripped back affair, 'The Rainy Season' saw Alf take to the studio with a full band in tow delivering a fuller, darker sound.